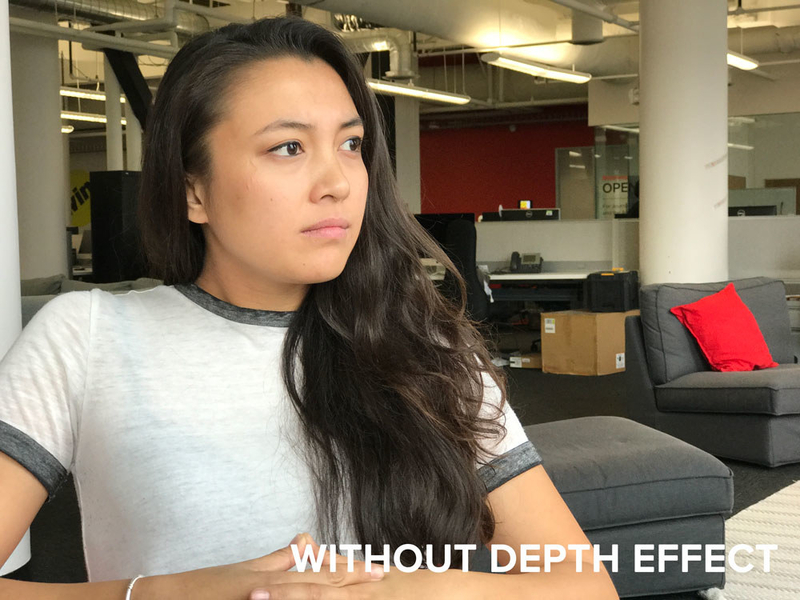 The software update, available today, includes a beta version of the new depth-of-field photo effect for iPhone 7 Plus. At Apple's iPhone event in September, company SVP Phil Schiller announced "Portrait mode," a new camera feature exclusive to the iPhone 7 Plus. The beta version of Portrait mode, which uses the device's dual-camera system to add a gauzy, out-of-focus "bokeh" effect to a photo's background while keeping the foreground in focus, is finally available today via the iOS 10.1 update. The iPhone 7 Plus can preview Portrait mode's depth-of-field effect live, enabling photographers to calibrate their portrait shots before hitting the shutter. “This is something you can’t even do with a DSLR,” Schiller said at Apple's event. To try out Portrait mode, you need to have an iPhone 7 Plus with iOS 10.1 installed. Back up your phone, and go to Settings > General > Software Update. Once the update is installed, open the Camera app and swipe to the left to reach the Portrait tab. You'll see suggestions in the preview area, like "more light required," "place subject within eight feet," or "move farther away." Portrait is exclusive to the iPhone 7 Plus, because it takes advantage of the phone's dual-camera system. The phone takes information from both the 56 mm telephoto lens and the wide angle lens to map the "depth" of the image. The effect looks best on (no surprise here) close-up portraits. The Google Camera app has had a similar feature, called "Lens Blur," since 2014. The app uses computer vision algorithms to track the camera's 3D position and sense the depth of a photo to create the same depth-of-field effects. No word from Apple on when Portrait mode will leave beta, but the company said it will continue to make improvements to the feature. Intrigued by Apple's newest iPhones? Here's our review of the iPhone 7 and 7 Plus. iOS 10.1 includes some other noteworthy features. In Messages, effects will now play when Reduce Motion is enabled. Previously, Reduce Motion needed to be turned off to view full-screen and bubble effects. Users can also replay Messages effects in the update. The Maps app will now show a transit fare comparison when viewing alternative transit routes. On the iPhone 7, the Home button click settings now appear in search results. The update is available for iPhone 5 and newer, iPad 4 and newer, and the sixth-generation iPod Touch.